Everything you need to master the latest major release of Android. But its name isn’t the only thing that’s sweet about Android 8. 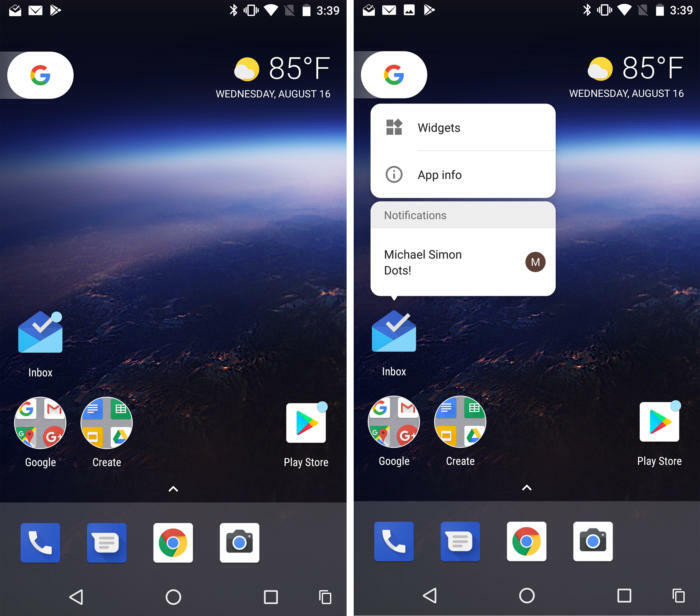 While it might not be as jam-packed with features as other Android releases, Android Oreo has plenty of features that make it a must-download, from picture-in-picture to notification changes that will help you keep annoying alerts at bay. So bring your sweet tooth because there’s a lot to digest. Can I install it on my phone? Other than those devices, you’ll need to wait for manufacturers and carriers to begin rolling out their own versions of the OS, and this could take a while. OK, I have one of the supported phones. How do I get the update? Once the Android Oreo update is ready for your phone, you’ll receive a notification of a pending system update. Tap it and you’ll be taken to the Settings app where you can proceed to download and install it. If by chance you want to install the update manually, you can find the factory images for Pixel and Nexus devices here. Do I need to unenroll from the beta program first? Nope, there’s no need to do that. Even though your phone will continue to say you’re enrolled in the beta program, once you get the update, you’ll still be running the final version of Android Oreo, just like everyone else. And as new betas land for 8.1 and beyond, you’ll be among the first to get them, too. Won’t Project Treble help me get updates quicker? Project Treble is more of a foundation for the future than a current user feature. Designed to make it easier for manufacturers to deliver timely updates, it will presumably mean that your Galaxy S and LG G phones won’t have to wait as long to get the latest version for Android. However, it’s probably not going to affect the speed of Android 8 updates. As Android’s engineering team explained in a recent Reddit AMA: “Devices launching with Android O will come Treble-enabled out of the box. Project Treble will make it easier, faster and less costly for device maker partners when these devices are updated in the future.” So, while Android P might make it to non-Pixel phones quicker, it won’t have an effect on Android Oreo updates. When you launch Android Oreo for the first time, you won’t be smacked with any obvious new features—but there are still a few worth checking out. Google has divided its improvements into two main areas: “Fluid experiences,” which bring productivity and UI changes to help get things done faster, and “Vitals” to keep your phone running smoothly while demanding less battery power. 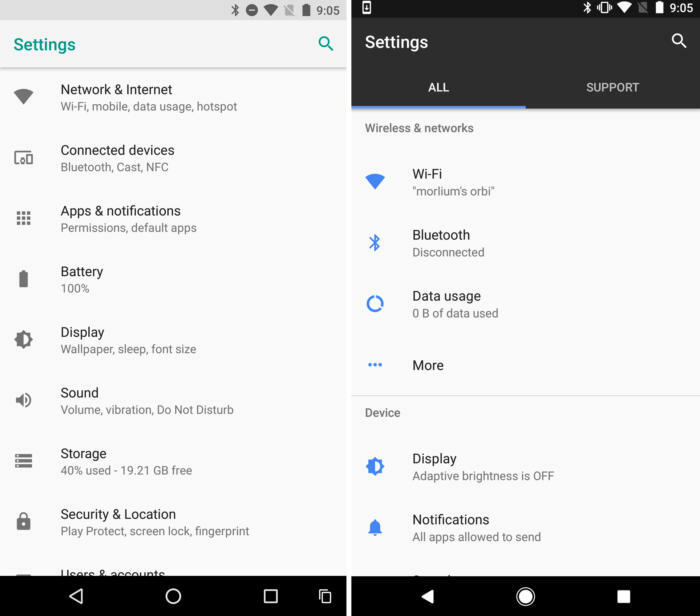 The Settings app in Android O (left) has gotten a facelift as you can see in this comparison with Android Nougat (right). The most obvious change to the interface and navigation can be found in the Settings app. There’s a new icon inspired by Nougat’s aqua marine-accented motif, and many of the menus have been rejiggered and rearranged. Gone are the categories for Wireless & Networks, Device, Personal, and System. Instead, various settings have been given smarter groupings. For example, Network & Internet collects Wi-FI, mobile, date usage, and hotspot into a single screen, while Connected Devices does the same for Bluetooth, Cast, NFC, and Android Beam. Individual settings screens have been tweaked as well. Tap on the Battery tab, for instance, and you’ll see a new visualization of remaining run time (tap it to get back to the old chart), as well as toggles for battery saver and adaptive brightness, and the inactivity sleep timer. You’ll have to explore yourself to find out where everything is, but if you get lost, you can still use the handy search icon in the top right corner. 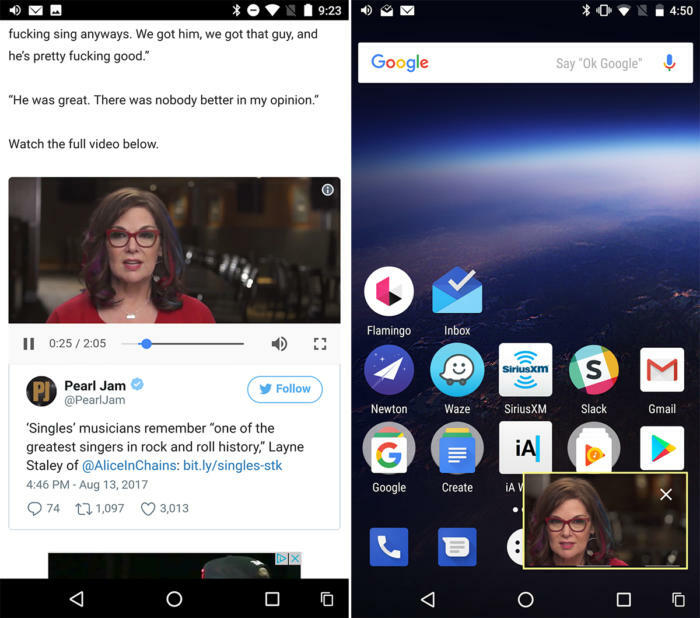 When you’re watching a video in Chrome using Android 8, you can turn it into a picture-in-picture window on your home screen. Of all the new stuff in Oreo, the feature everyone is going to want to try out first is picture-in-picture. It doesn’t yet work with too many apps, but it’s a feature developers will likely want to support as quickly as possible. Using it is easy. When you’re watching a full-screen video in YouTube or Chrome, just press the home button and the video will shrink down to a window that floats on top of whatever else you’re doing. From there you can move it around the screen, close it out, or tap to launch the app again. It’s a feature that’s sure to be more useful on Android Oreo tablets than phones, but on the giant screen of the Nexus 6P, the tiny window is definitely watchable. Autofill will be super-charged to work with third-party password managers. Picture-in-picture might be Oreo’s coolest feature, but its most useful one will likely be autofill. I know, you’re thinking, “We’ve had autofill in Android for years,” but the new approach applies directly to passwords, and goes a step beyond Google Chrome’s Smart Lock feature. 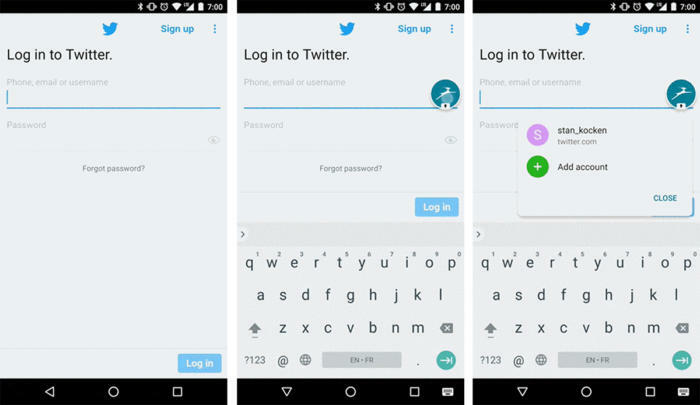 Just like you can customize Android’s keyboard with a better one, now you can customize password management with a third-party platform. And it works all over Android, not just in Chrome. That means when you reach an app that requires a saved login in Android 8, the fields will automatically populate using info from your personal password vault. And it’ll work with your password manager of choice: Dashlane, 1Password, and Enpass have already announced support for autofill in Android 8. So if you aren’t using a password manager, now’s a great time to start. Every new Android release includes some changes to notifications, and like Nougat, Android Oreo brings some pretty big ones. Its starts with the notification shade. The quick settings panel is now white instead of black, and the Settings app shortcut has been moved to the space below the icon strip. A couple of the quick settings tiles have changed as well. The battery icon has been replaced with Battery saver, but you’ll still be able to see your remaining battery life in the status bar (previously it disappeared when you pulled down the shade). And there’s a new System icon that tells you the version of Android you’re running. The Night Light tile is gone as well. The notification shade has gotten some new options in Android O. The way notifications are handled has also changed. Swipe right and you’ll see two icons: Settings and a new clock—touch the clock to snooze the alert for up to two hours. Also, if you long press on a notification, you’ll be able to turn off all future alerts. On some apps you’ll see a simple switch, but others will have a Categories button, which lets you get granular with what notifications you receive. So, instead of an all-or-nothing decision, you can now choose what type of notification “channels” you will receive without needing to fuss with the individual app’s settings. In Maps, for example, there are 31 separate categories that can be switched off or silenced, so if you want to be alerted of location sharing but not new places, you can do that right in Settings. 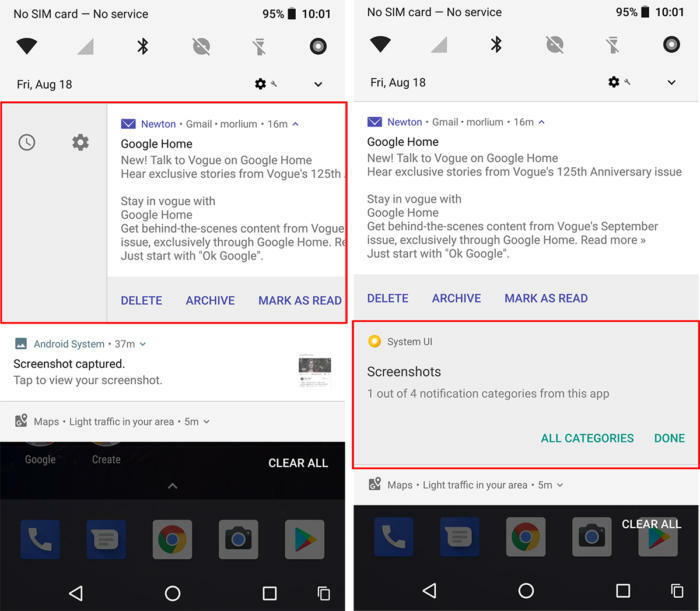 Most third-party apps don’t have any options yet, but once they start rolling out, notification categories should help you keep your notification shade a whole lot neater. Android O puts small dots on icons to alert you to unread notifications. Then you can long press to see them. Finally, Android 8 is introducing icon badges—or as Google calls them, dots—for unread notifications. They won’t display a numeral that indicates the specific number of unread notifications (a feature in Nova and other launchers), but the dots will give you a visual indication that an alert has arrived. They’re visible whether the app is on the home screen or inside the app drawer, and if you long press on an app icon, you’ll see your unread notifications. Tap to open them in the app, or clear them with a swipe. Text selection has gotten a whole lot smarter in Android O. Another useful feature in Android Oreo is smart text selection, which aims to cut down on various test-handling frustrations. 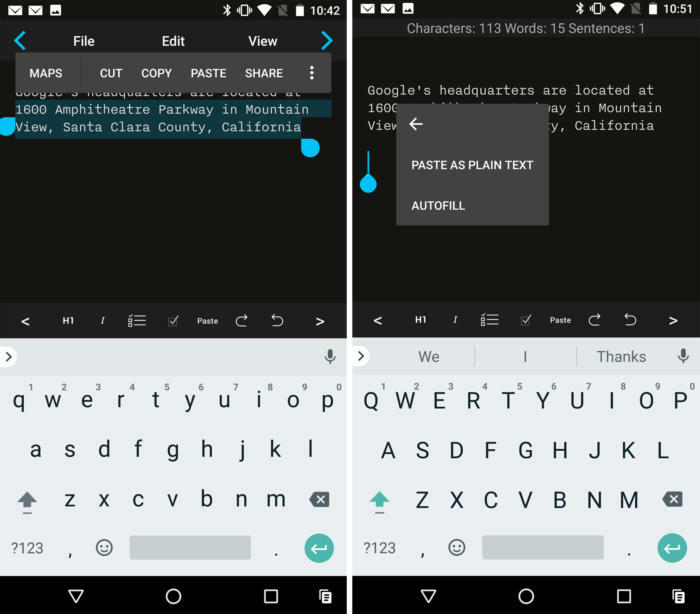 When you tap on an address in Android 8, the text-selection engine will be smart enough to recognize a full address, not just the word you’ve tapped on. And once it’s selected (by double-tapping the original highlighted word if it didn’t get it the first time), you’ll see a new option to head straight to Google Maps or (in the case of a phone number), the Phone app. There’s also a handy new “Paste as plain text” option that will strip any formatting. 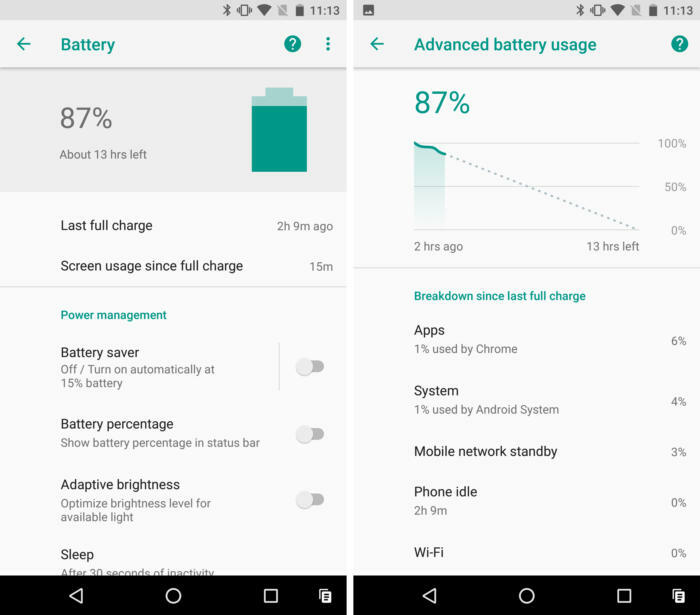 Google has optimized much of Android Oreo behind the scenes to make your battery last longer, but there are a few things you can see. In the notification shade, a persistent notification will now alert you to any apps that are running in the background. You can also finally opt to display your battery percentage next to the status bar icon at the very top of your display. There are lots of battery improvements in Android O, but you won’t be able to see most of them. But the real improvements to battery life will be under the hood. Google has concentrated its efforts on three main areas: implicit broadcasts, background services, and location updates. That means that Android Oreo will severely limit what apps can do when you’re not using them, so rogue operators won’t be able to harpoon your battery life. Again, most of these changes won’t affect your daily use—you’ll still be able to play Spotify songs and get directions—but users of older phones should notice an uptick in their battery life. Google understands our pain when it comes to Nougat boot times, and it has seriously upgraded Android 8 to cut down on the time it takes to load. All Android Oreo devices should see a significantly reduced boot speed, but Pixel owners will particularly benefit. Google says boot times on the Pixel and Pixel XL have decreased by about half of the time it took to load under Nougat, and the upcoming Pixel 2 will surely push it even further. Google wants icons to be more uniform and adaptive in Android O.
Android Oreo is introducing adaptive icons in an effort to create some unity over how they look. Much like last year’s push for circular icons with Nougat and the Pixel Launcher, Oreo is pressing developers to submit icons that can dynamically change with the system, so they can be square on one phone and circles on another without upsetting the overall vision for the icon. The new system also allows developers to add visual effects and subtle animations to their icons, such as parallax or scaling effects. 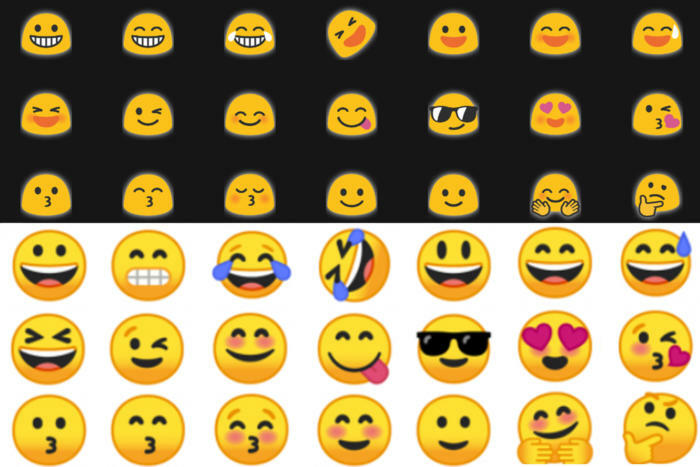 The familiar “blob” emoji (above) are gone in Android O, replaced with much more cartoonish ones (below). Here’s something you will definitely notice in Android Oreo: New emoji. Say goodbye to the blobs and hello to a new set of easier-to-distinguish cartoons. But the old blobs aren’t gone completely: You can download the old-school emoji as an animated sticker pack in Google Allo.